Located in the quiet, but ever growing, Town of Smyrna, Cambria Village offers the best of small town living with the big city conveniences. 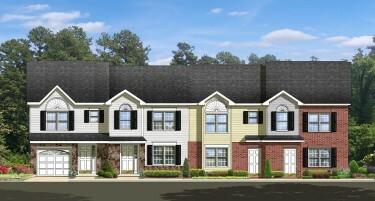 Just outside of Smyrna's historic downtown, residents of Cambria Village can enjoy the experience of its main street atmosphere while being close to contemporary shopping, daycare facilities, health and wellness centers and the neighborhood schools of the Smyrna/ Clayton School District like Sunnyside Elementary. Situated close to State Routes 1 and 13 makes traveling to any location effortless be it north to Wilmington / Philadelphia or south to Delaware's renowned beaches, allowing you to experience all of the best Delaware has to offer and being only minutes away from the many popular regional attractions such as: Dover Air Force Base and Air Mobility Command Museum Dover Downs Casino and Racetrack featuring gaming, fine dining, spas and elegant shopping Dover Downs International Speedway, more affectionately known as the Monster Mile, where NASCAR's best compete twice a year bringing with them all the excitement that is stock car racing Featuring four different town home designs with sidewalks and open spaces, living in Cambria Village appeals to anyone who wants to live close to modern day amenities while still being able to experience small-town living. Combine this with new school and local medical facilities along with low property taxes and insurance makes Cambria Village a great place for first time home buyers or those looking to downsize or retire.